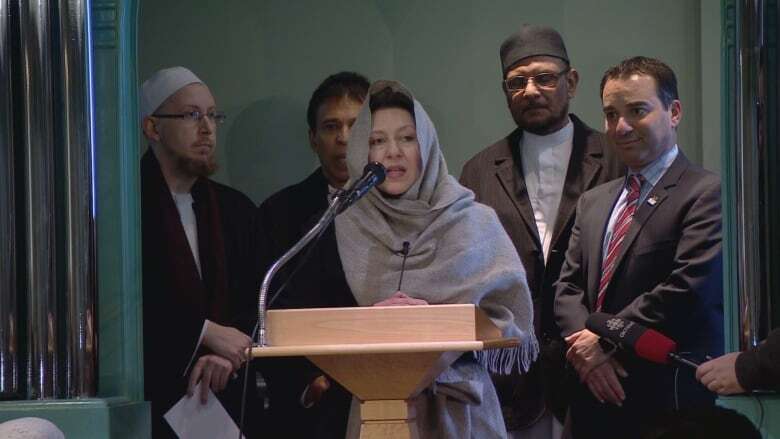 Groups from synagogues, churches and temples around the GTA gathered on Friday to form protective ‘rings of peace’ around GTA mosques during Friday prayers. 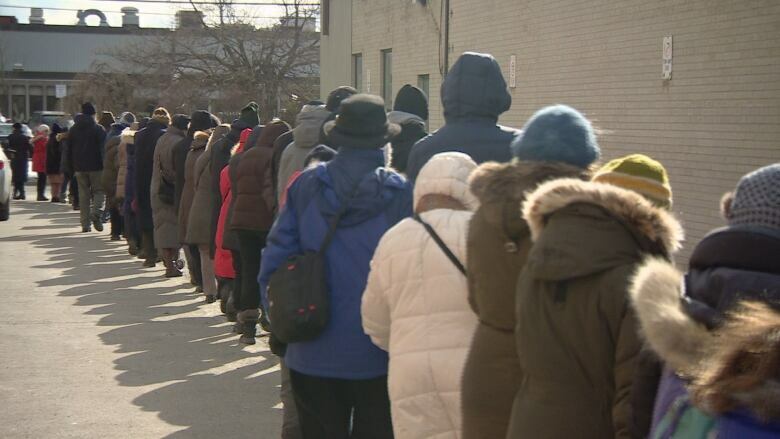 Groups from synagogues, churches and temples around the GTA formed protective "rings of peace" around mosques during Friday prayers in response to last Sunday's attack in Quebec City. 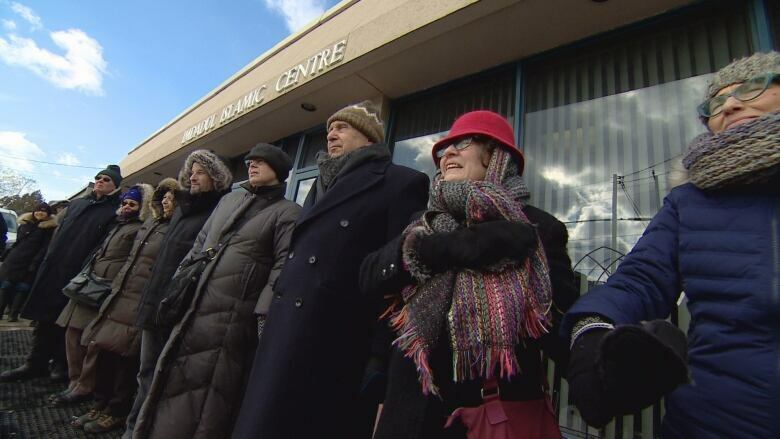 More than 100 people formed a circle around the Imdadul Islamic Centre near Keele Street and Finch Avenue West Friday afternoon, "praying with their feet," said Rabbi Yael Splansky of Holy Blossom Temple. The idea was inspired by young Muslims in Oslo, Norway who created a "ring of peace" around a synagogue after attacks against the Jewish community in Copenhagen and Paris two years ago. Rabbi Splansky calls the act a "prayer in motion." Splansky was invited to speak to mosque members after the prayers. Ilyas Ally, assistant imam at the Islamic Information and Dawah Centre, told CBC Radio's Metro Morning that the display of solidarity will help end the "emotional roller-coaster" of a week on a note of hope. "To see there are people out there — Jews, Christians, people of other faiths or no particular faith, who really care about the Muslim community — I think that says a lot and it's really reassuring," he said. 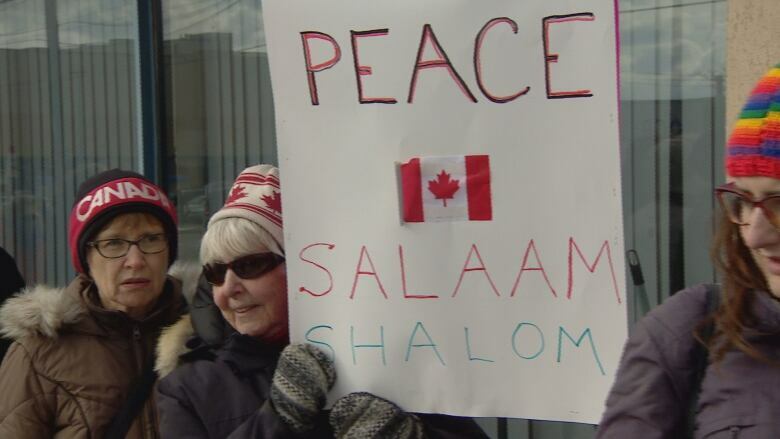 At Ally's mosque, located near Dufferin and Bloor, congregants from St. Anne's Anglican Church and City Shul gathered outside, holding hands and surround the building during the afternoon prayers. Reverend Gary van der Meer from St. Anne's said his goal was to provide a "calm presence of love, concern, and support in these times of fear and anxiety." 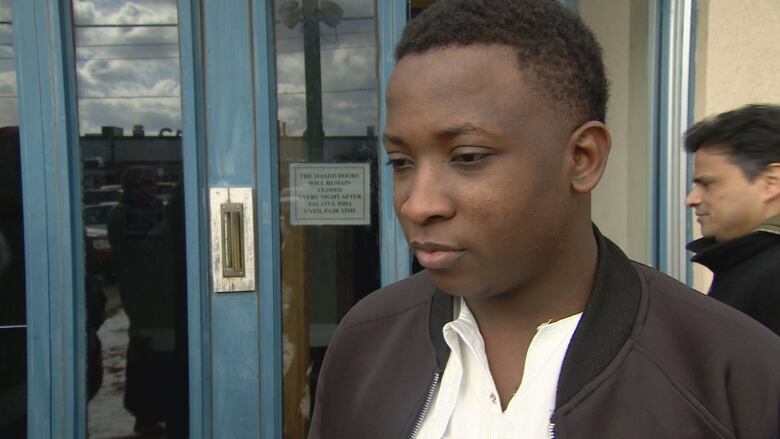 Abdullahi Shittabey braved the cold in sandals and without a jacket to see what was happening outside his mosque — he was in shock at how many people came out to support his community. "It feels nice seeing everyone like this, it makes everybody feel hopeful," he said. "People don't always realize there is community out there beyond their local mosque," said Ally. Some members, he said, began the week feeling fearful, with one going as far as suggesting their mosque invest in bulletproof windows. Since then, spirits have been buoyed by an outpouring of local support — from letters written by Humberside Collegiate students to a well-attended vigil honouring the victims of the attack and teary bear hugs from strangers. The key, said Ally, is to build on that warmth and goodwill in the weeks and months to come. "There's still a lot of work to do. We're going to have to think about the reality of racism in Canada, of white supremacy, of far right extremism. I hope these partnerships that we form this week and going forward will also look at some of those hard issues." "Rings of peace" surrounded at least seven GTA mosques and Rabbi Splansky said the idea is spreading to surrounding cities too.